Handcrafted Scribe Fit Custom Log Cabin Homes built using British Columbia Western Red Cedar, Douglas Fir, Pine or Spruce offer a unique and rustic contrast to the uniformity of machined milled logs. Each and every log is individually handcrafted by an experienced craftsman whose labour – intensive efforts reveal the distinctive characteristics of each log. 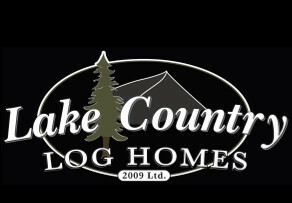 No two logs are the same – making your log home or log cabin a unique piece of art. Recognized by many as the classic log home, a Handcrafted Scribe Fit Stacked Log Cabin Home boasts a timeless feature of exposed logs stacked horizontally to form full log walls. Each log has a hand cut lateral cut into its underside that is scribed to the log below, thereby ensuring a tight fit. There is no need for siding, insulation or drywall. Because of this, Log Homes are both aesthetically appealing and energy efficient. It’s no wonder why this style of log home is the choice of so many of our clients! Large diameter flared character Western Red Cedar Handcrafted Scribe Fit Stacked Log Cabin Homes are very popular and add even more natural character to your Log Cabin Home.